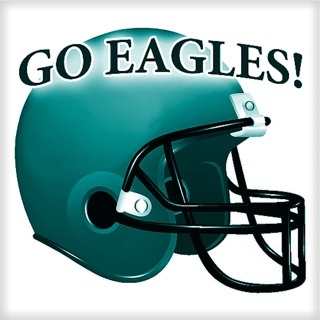 Effortlessly get in-depth sports coverage, analysis, box scores and news for the Philadelphia Eagles, 76ers, Phillies, Flyers and Union. 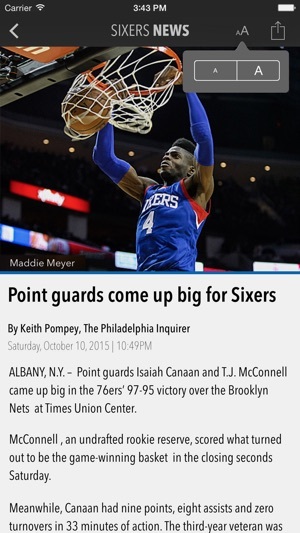 With the Philly Sports Now App, you can be the first to know with the latest verified updates from the Philadelphia Inquirer, Daily News and Philly.com. • READ THE LATEST sports articles, blogs and galleries. 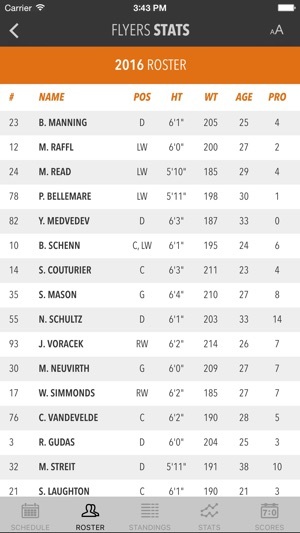 • ACCESS TEAM DATA including team schedules, rosters, standings, stats and scores. • BE THE FIRST TO KNOW about injuries, trades and results with customizable breaking news notifications. 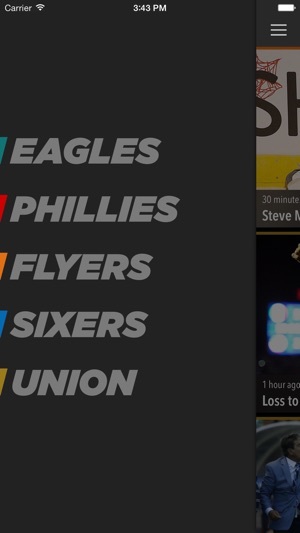 • GET ONLY THE CONTENT YOU WANT for news and notifications by selecting your favorite Philadelphia sports teams. • Alerts and Reminders - never forget an upcoming game again with alerts and reminders. • Latest Tweets - conveniently view our latest tweets in the news feed. 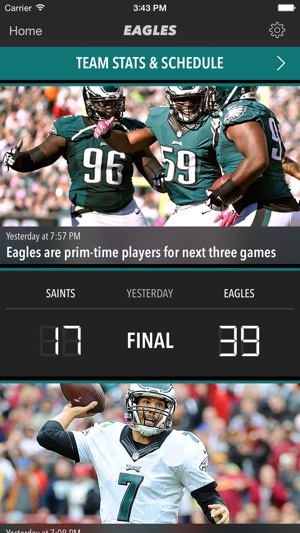 • Score Cards - quickly access pregame and postgame box scores within the app. • Get the latest notifications, headlines and scores conveniently on your Apple Watch screen. Have feedback? Reach out to our support team under Settings > Feedback. 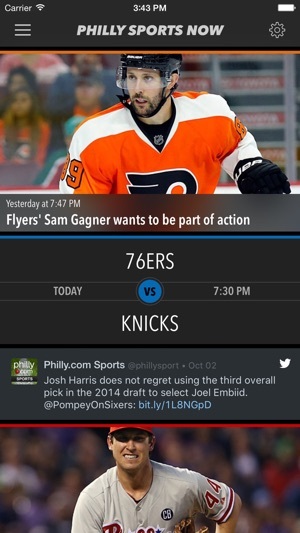 We've implemented several bug fixes and performance improvements to make the Philly Sports Now app even better. We'd love to hear your feedback as we continue to develop enhancements and fix bugs. Reach out to our support team under Settings > Feedback. The app seems to be hanging all of the time. I am using an iPhone 6s with 128 GB of storage. When there is a photo that is wider than the screen (and they all are), the text switches to the width of the photo, instead of the width of the screen. (You can’t see most of the photos either.) This means that most of the text is cut off beyond the right of the screen, so it’s impossible to read. This happens in more than half the articles, and most game articles since they start with a photo - so you can’t read any of those articles. I have an iPhone6. If your tech squad says “it works on my phone” please have them TEST on all platforms, not just the newest and greatest platform. If I had to guess, which I do, it seems like making photos display at screen width would resolve the problem.